As we all know, the solar industry is becoming increasingly competitive. While system costs came down in 2016, soft costs such as customer acquisition costs have remained steady or gone up. Within this competitive landscape, it is more important than ever to clearly articulate who you are as a company and the value you bring to the market. 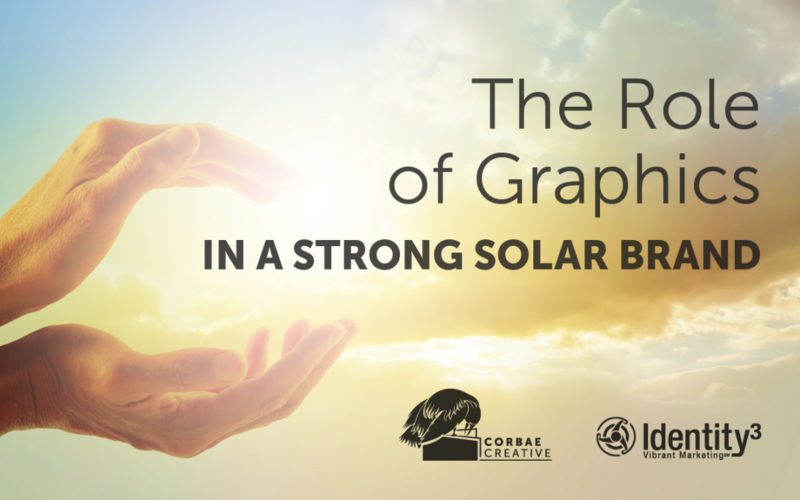 The strategic use of graphics in your solar marketing campaigns can go a long way toward helping you accomplish this goal. After all, they are the personification, the visual representation of your company to the industry and to consumers. As your company heads into 2017, now is the time to take stock of the ways in which you use graphics to further your marketing goals. A few relatively easy steps can help you get the most out of your graphics strategy. As we sit down to work with companies, we often find that they have a huge stock of photography and other visual assets that have never been organized. Maybe the company’s largest dealer regularly passes install photos to the head of sales. She keeps those on her tablet so she can use them when she’s out in the field. Graphics from the last marketing campaign are housed with an outside creative agency. The office manager keeps the logo in all its various forms. We get it. It’s hard to carve out time for something like this during a busy day, but it’s so important. These visual assets can be a treasure trove as you get to work on your next marketing campaign. But if they aren’t centralized and inventoried in a way that makes them easily retrievable, then they aren’t doing anyone a whole lot of good. It’s important to remember that your system doesn’t have to be complicated. What is important is finding something that works for your company and sticking with it. A simple Dropbox account or a Google drive will do just fine. Set up folders within the drive to keep everything organized, and get everyone in the habit of uploading new photos regularly. When you embark on your next major campaign, you’ll already be one step ahead. A style guide is another invaluable reference document to have on hand as you plan your solar marketing campaigns for the coming year. It is a resource that should not be overlooked. A style guide is essentially a document that addresses all the ways in which your company represents itself graphically. When, where and how can your logo be used? What set of fonts do you draw from? How do you use images, photos and illustrations? What is your tone of voice? Do you print in house or externally? How do you present these elements on our website and social media? Although it does take a considerable amount of upfront time to create, a style guide saves immeasurable time down the road. It eliminates confusion and arms a creative team with basic building blocks, so they do not need to reinvent the wheel with each new project. This in turn can greatly reduce the amount of time spent working with—and paying for—external creative agencies. To avoid overwhelming your in-house teams with unnecessary information, consider creating a longer style guide for external creative agencies and an abbreviated version that outlines the basics for creating documents in house. If your company already has a style guide in place, take this time to review it for the coming year. Is anything out of date or no longer relevant? Do all the elements still ring true to who you are as a company? And, perhaps most importantly, has the guide been implemented at all levels of the company? With a style guide in place, it’s time to take stock of the ways in which you use graphics across all your platforms. Are your graphics consistently portraying your company’s brand in the market? Having a clear, consistent graphic identity is crucial and can give your company a distinct competitive advantage. This need for consistency includes the use of social media graphics, especially because social media is so driven by visual elements. But being consistent doesn’t mean forgoing creativity. There are many clever ways to implement and use your company’s colors and fonts in the construction of a social media image. One company may choose to use illustrations in their social media images, because this makes sense with their graphic identity. Another company may use strong visual photos, while still another will choose to use just bold colors. How your company chooses to present itself graphically will depend on your overall marketing strategy. But regardless of the content and style of your graphics, if you are consistent across the board, if every graphic draws the consumer back to this company and its one cohesive front, then you will be well on your way to building your brand’s identity in the market. As you review your graphics for consistency, take time to assess your logo as well. Is it responsive? By this, we mean will it work in multiple sizes? Will it scale well from a truck or a lawn sign all the way down to the tiny favicon that shows up in the browser tab when your website is open. Scaling your logo in this way doesn’t mean simply shrinking it to fit smaller formats. That little favicon, or that Facebook profile pic, is probably not going to have all the elements of the full-sized logo that appears on your physical signage. Unless your logo is super simple, that just wouldn’t read well. But throughout the various versions, there should be some sort of consistent element that is representative so it’s immediately recognizable. If you don’t have a responsive logo, it’s probably be time to hire a designer to help make this happen. This seemingly small detail goes a long way toward giving your brand that clear identity across all your marketing channels. When you are designing your graphics, keep in mind the need to be flexible. For example, you may end up with a “trash can” of great images that just didn’t make the cut for one reason or another. If there is something about an image that you love, don’t discount it altogether just because it doesn’t work for that particular campaign. Keep it filed away, because you never know when it might be the perfect fit for something else down the road. And as a last note, always try to find ways in which the images you create can do double duty. One great graphic can often be applied to several different channels. An image from a postcard might be just what you need for a future email campaign or a social media post. These days, there are so many different channels where the consumer finds you. It can be a lot of work keeping up, so do yourself a favor and let your graphics work for you in as many ways as possible. Listen to Glenna interview Aimee in “The Effective Use of Graphics in Marketing Solar” podcast on Soundcloud. With a diverse background in design and marketing communications, including earning her marketing design chops in the building industry, Aimee got her start in the solar industry in 2000, working with Xantrex Technology, post merger with Trace Engineering. Bringing her technical expertise together with her design and marketing experience, Aimee has helped define visual and marketing strategies for B-to-B and B-to-C solar companies national and international in scope. 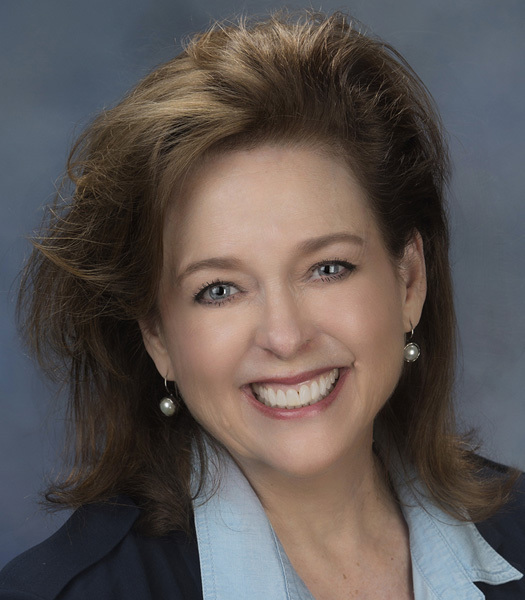 Glenna Wiseman is a solar industry marketing veteran who brings the installer’s point of view to marketing communications. Her solar marketing expertise dates from 2007. For five of those years, she led the marketing initiatives for a California based solar installation firm. Glenna has built integration companies for more than 10 years, resulting in a holistic and enterprise-level perspective on marketing for solar installers. As founder and principal of Identity³, she delivers vibrant marketing for firms at every stage of the solar supply chain, nationally and internationally. 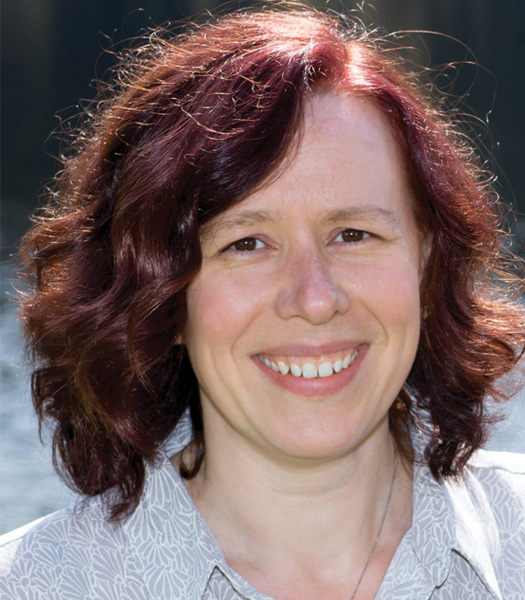 Through an Energy Trust of Oregon soft cost reduction initiative she created the “Build it Bright, Crafting Your Solar Marketing Program” series for installers now featured on HeatSpring, an educational platform serving 47,000 visitors monthly. Glenna is a recognized writer and speaker within the industry, covering a wide range of topics, including marketing solar to women. She has been a moderator and speaker at Solar Power International and Intersolar North America.